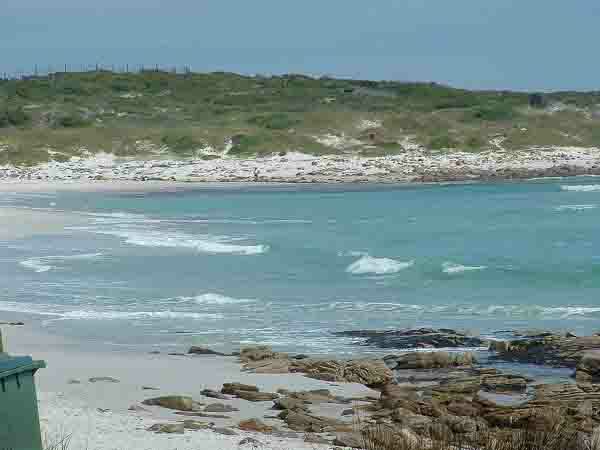 A visit to the southern peninsula another prime holiday destination on the Atlantic coastline is something anybody visiting Cape Town should do. 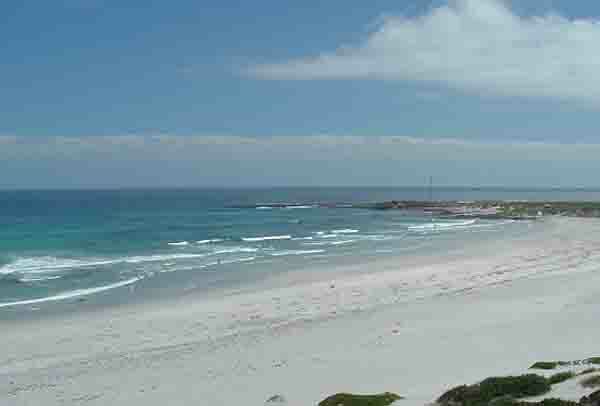 The scenery along the Atlantic coastline from Kommetjie around the mountain to Misty Cliffs and Scarborough is awesome. Looking down onto the village of Kommetjie and out over the Atlantic ocean one is amazed its beauty. From the mountain road one can see the basin ( The Kom as its known) formed by the island and the rocky bay after which Kommetjie is named. The coast from Kommetjie point towards Cape Point is made up of flat rocks which extend out to sea. It's on these rocks that the kelp beds have established themselves and it's here among the rocks and kelp that the crayfish abound. A few kilometres down the coast a crayfish factory has been built and is where boats catching crayfish in the kelp come and offload their precious cargoes. The coastline turns back on itself near the factory and forms a beautiful bay with a pristine white beach that runs east to west and ends up against the mountainside. This beach is used by surfers to get to the waves which enter the bay and break against the rocky cliffs of the mountain slopes which drop into the sea nearby. Misty Cliffs a small settlement built on the mountainside overlooking the bay is constantly shrouded in mist put up by the waves breaking against the mountainside. The wild flower show is a pure delight with bright purple pelargoniums and proteas competing against each other in a sea of colour. The sea with its blue and turquoise water cannot be outdone and also vies for your attention. On the day of my visit a pod of whales was swimming in the shallow waters about 500 metres off the rocks and every now and again a tail fluke or a flipper would appear above the water. The area is a photographers dream with so much going on. Moving on from Misty Cliffs the next village we come across is Scarborough. It was recently put on the map when a large ship ran aground on its doorstep. Luckily salvors managed to refloat the ship and drag it out to sea where it was scuttled saving the bay from a terrible eyesore. Scarborough has two attractions, Camel Rock and a beautiful bay with a pristine beach. The rock is shaped like a camel and is situated next to the road near the entrance to the village. While I was at the rock I turned and photographed the mountainside and inadvertently caught a local in the act of committing a crime. A Chacma Baboon had strayed into the village and had found some food in the garden of a house and politely helped himself to it. I caught it clambering over the garden wall before it quietly sat down in the middle of the road and ate its prize. The pristine bay around which Scarborough is built is well utilised by the locals who could be seen surfing, swimming and tanning. I'm not sure how warm the water was but going by the actions of people entering the water it must have been pretty cold. 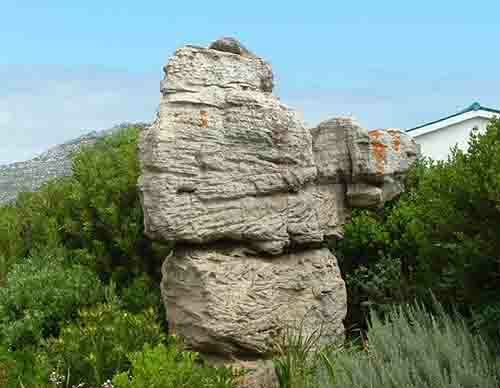 The southern peninsula has many gems which can be easily missed by rushing headlong for Cape Point. Take your time and have your tour guide turn off the main road every now and again to allow you to explore this interesting coastline. It's another one of Cape Town's prime holiday destinations.